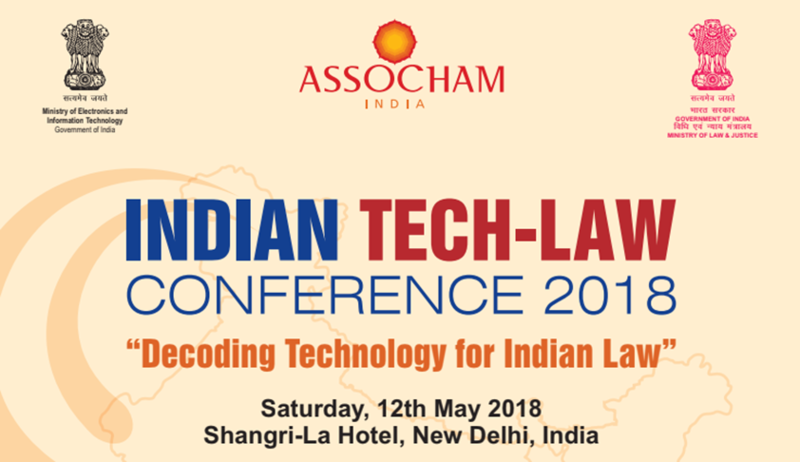 ASSOCHAM, in collaboration with Ministry of Law and Justice & Ministry of Electronics and Information Technology, is organizing an Indian Tech­-Law Conference 2018, Decoding Technology for Indian Law. Venue: Shangri­La Hotel, New Delhi, India. Would technological innovations in law & judiciary help reduce pendency in court cases in India? Can technology help legal profession to transform so as to get their best & affordable legal services in a country like India? Will smart technology affect favourably/adversely to the employment in legal profession? LiveLaw is the Media Partner of the event. The brochure for the event can be found here. The registration from can be found here.